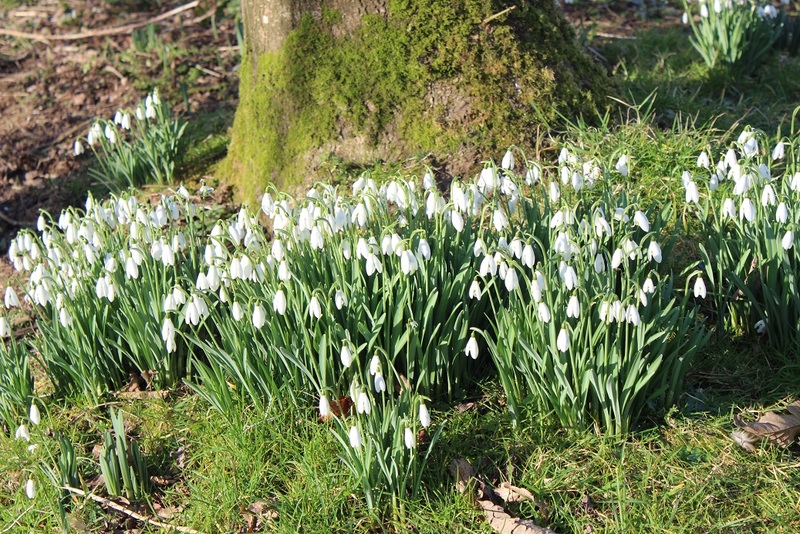 The pressure to feature snowdrops at this time of year is extreme. Everywhere you look there are delicate white blooms with varying amounts of green and reflex. I have succumbed. The lure of these milky blooms is irresistible. They have earned their place here not just because they are harbingers of longer days and warmer feet. They have earned their place because they are charming and would be such at any time of the year. These flowers, nestled in the mossy base of a tree, are not expensive, nor rare, they are just minding their own business basking in the winter sun. Happy days indeed. I agree! No need to spend large sums, in the end the simple ones are just as lovely as the rare breeds. I think I am just so fascinated by plants that I find almost flower interesting. Give me a dahlia, ginger or hosta any day, much more exciting. A big parcel is on the way …. “. . .harbingers of longer days and warmer feet” and rising spirits! I’ve got snowdrops, too! And sunshine, after so very much rain.